Several weeks ago, I walked leisurely down Shapira Street, taking in the neighborhood that I had spent a year volunteering with—the neighborhood that in three weeks I would leave. 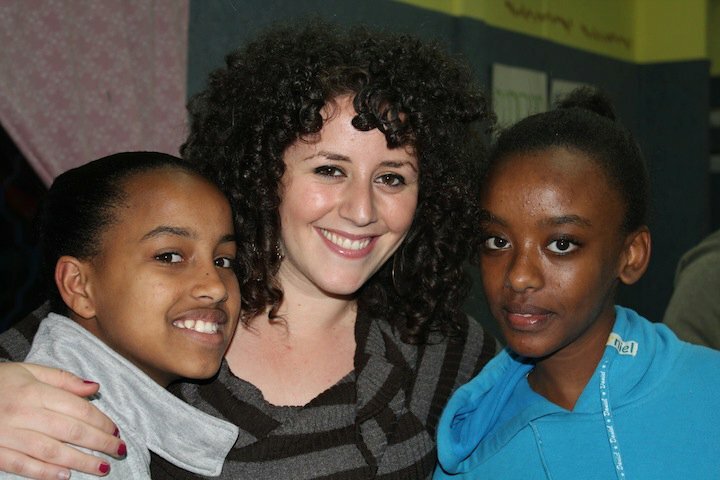 I was a participant on the Yahel Social Change Program, a program that works in collaboration with a grassroots NGO that does community empowerment with the Ethiopian Israeli community in Gedera, Israel. The majority of our initiatives centered in Shapira, one long street containing 22 housing projects and approximately 1300 Ethiopian Israelis. As I walked home, I stopped at the big parking lot where the neighborhood kids always played. I put down my things and started kicking a ball with the kids. I realized I knew all of their names. Then a crowd of older boys came and took over the game. All of them were youth center regulars who sat down to talk and say hi. Half an hour later, the woman to whom I taught English drove by in her car, honking her horn. Noya, her four-year-old-toddler, rolled down the window and squealed my name at the top of her lungs. My work with Yahel demanded that I think hard about the process of social change. Social change, I learned, is fraught with moral ambiguities. I wrestled often over whether our presence was sustainable or whether our work was truly empowering. Yahel’s logo is “Build Community. Create Change.” The truth is, as I’ve now returned home to Seattle, Washington and think back on that moment—playing with the kids, seeing the people I teach, waving at the people I work with—I realize I achieved exactly that. Ultimately, I learned that social change is about weighing the benefits of your work and accepting its limitations. Yahel’s influence ripples throughout Shapira. On Monday nights, the day Yahel offers “Open Space” in Shapira’s youth center, teens crowd the room to play ping- pong rather than smoke on the street. Walk down the road and kids who would never have the opportunity to speak anything but Hebrew or Amharic call out in English. Women who couldn’t recognize an English letter now read; their children read faster. Our collaboration with a local grassroots NGO sparked movement and infused energy in their staff. As the old Ethiopian men who sit at the lotto kiosk on the corner shake hands with the first American they’ve ever met, our presences catalyzes something in Israel that has atrophied: social integration. Yes, one by one, the Yahel volunteers will leave. But our impact, I believe, will stay. I came to Gedera because I believed in social change. I made social change. I came because I sought community. I helped build community. And as I sit here under Starbuck’s placid walls trying to process this inchoate feeling of emptiness, I realize above all, I found love. Three days ago, I left Gedera to come back home to Seattle. Sitting here in Seattle, I miss Gedera. I miss home.